Thai businesses are promoting investment in Vietnam in sectors that are expected to benefit from free trade agreements, including garment-textile and footwear. In the near future, 40 Thai enterprises will focus investments on clothing, apparel material and fashion, leatherware through direct investment and cooperation with Vietnamese partners. Commenting on investment advantages in Vietnam, a representative from the Department of International Trade Promotion under the Thai Ministry of Commerce said Thailand has yet to join a number of free trade agreements. As such, the hunt for investment and development opportunities in Vietnam is critical to increase their competitiveness. This is also considered a vital factor given many countries have signed free trade agreements, including Vietnam, and are moving to eliminate tariffs. Choosing Vietnam as a primary investment destination means Thai firms will optimise opportunities presented by import tariff reductions in trade pacts. Moreover, Vietnam boasts abundant labour resources, skilled workers and plentiful land areas, especially in the southeast and western regions. 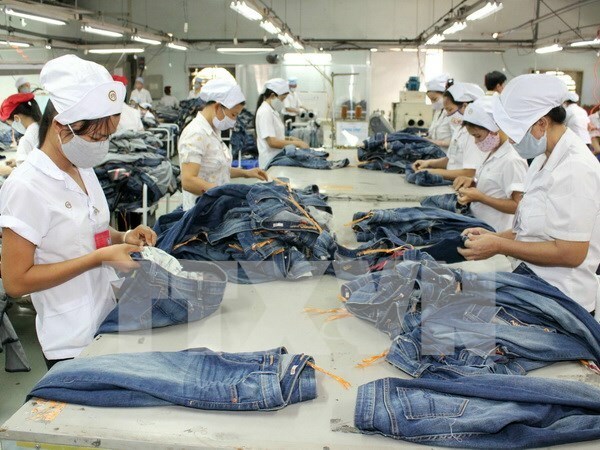 The Vietnam Textile and Garment Association (VTGA) said Vietnam and Thailand share similarities in terms of science-technology and consumer tastes. Thai firms are strong in weaving and designing and the nations’ bilateral cooperation will hence enable the two to reduce the amount of imported apparel materials while increasing product value and competitiveness. As Vietnam has signed a number of free trade pacts in recent years, many garment businesses from the Republic of Korea, Japan, and China are shifting their investments to the Southeast Asian country. Cooperation in the field between Vietnam and Thailand is significant, particularly in preparation for the establishment of the ASEAN Economics Community (AEC) by the end of this year.